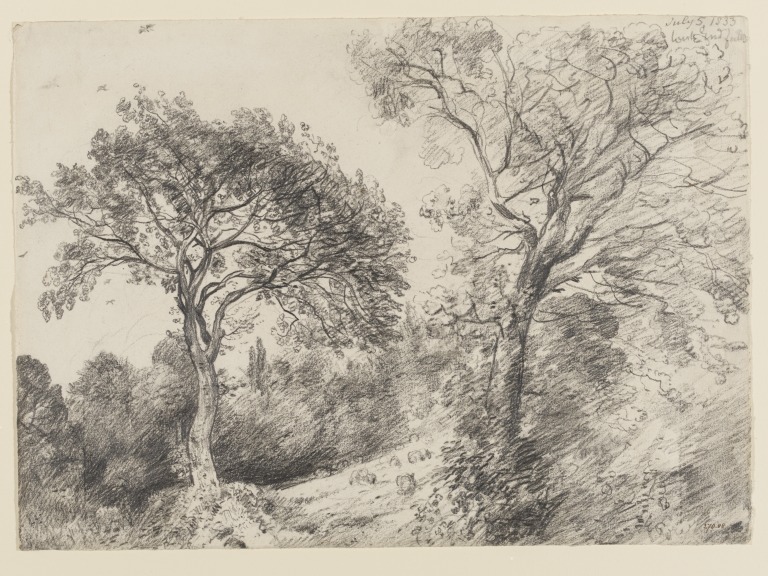 Drawing of trees and foliage with birds above. 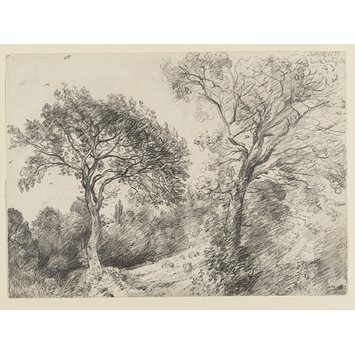 Inscribed in top right corner in pencil by the artist. Constable. 200 years in Hampstead Exhibition catalogue for exhibition at Burgh House and Hampstead Museum, October 2012 - April 2013.